As the temperature rises we like to cool down our dinners with crunchy salads, fresh seafood, and lots and lots of grilling. From burgers and hot dogs with unexpected toppings to hearty salads and sandwiches, these dinner ideas will leave you hungry for summer. 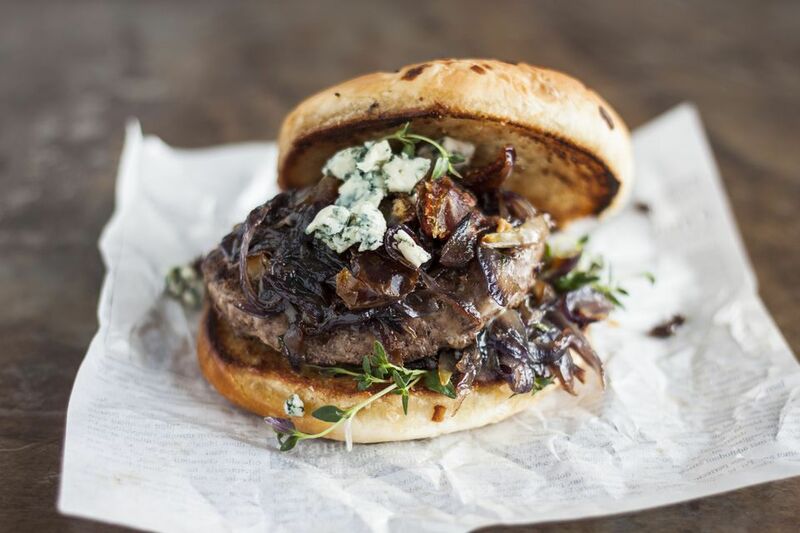 Nothing says summer quite like a burger hot off the grill. But don't just top them with the same old lettuce and tomato, mix it up with fun toppings like herb butter, kimchi, or tapenade. For a salad that transcends the category, a classic Cobb is a full-fledged meal. It's a great use of leftover or rotisserie chicken and looks lovely arranged on a plate. Fish tacos are lighter than your standard tacos, but still full of flavor. Grilled, spiced fish gets a nice crunch from a fresh cabbage slaw and is topped with homemade salsa. The fact that corn and grilling are in season, at the same time, is more than just fate. They were meant for each other. Follow our tips for the very best grilled corn. Cool off with chilled soba noodles, crispy veggies, and a simple sweet, spicy, tangy, and savory dressing. Pair with fish or chicken, or eat it on its own for a simple, yet tasty dinner. The Po' boy, a classic New Orleans sandwich, can be filled with meat and gravy, fried oysters, or delectable fried shrimp. Don't skimp on the Cajun seasoning. A Thai-style marinade gives eggplant lots of umami flavor, and pairs perfectly with the smokiness of the grill. It's hearty enough to be a main dish, and you can make it on a grill pan if you're grill-less. Green papaya is refreshingly crunchy and pairs so well with marinated steak. Add any crispy veggies you have handy for the salad, even swapping the papaya for shredded cabbage. When you think of summertime, you might think of the beach, and soon after, seafood. Crab cakes are always a favorite, and they're easier to make than they seem. Serve with big wedges of lemon. For a simply delicious way to grill seafood, stick shrimp and scallops on a skewer and sprinkle with spices. Grill a few veggies skewers alongside and you have a meal. Black beans, corn, tomatoes, avocado, and jalapeño are tossed with a light vinaigrette for a fresh, but filling, salad. Add cubed, grilled chicken or cooked shrimp for an extra dose of protein. You can't go wrong with hot dogs at a summertime gathering, especially if you have some fun options for toppings. Try a BLT dog or a Frito Pie dog with chili, cheese, and chips. The key to a good club sandwich is high quality fillings: really good sliced turkey, crispy bacon, creamy avocado, fresh veggies, and toasty bread. A little mayo holds the tall sandwich together. 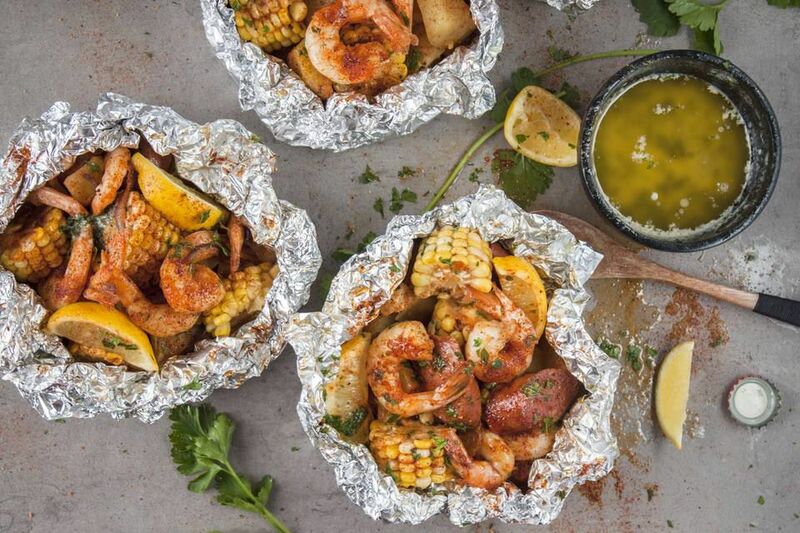 Instead of cooking a shrimp boil the old-fashioned way—all piled into a giant pot—grill or bake individual servings in foil packets. Don't forget a sprinkle of seafood boil seasoning and a pat of butter for each parcel. Keep cool with fresh, raw fish served with rice, cucumber, avocado, and a delicious sauce. Look for high quality, fresh fish, and adjust the spice level to your liking. For a salad that tastes like summer and comes together in no time, combine sweet corn kernels, cool and crunchy cucumber, and ripe tomatoes. Add a sprinkling of feta cheese for a salty bite. Cooked chicken gets a new life as a creamy salad with crunchy apples and celery, nuts, and a little curry spice. Serve as a sandwich or wrap, on top of a green salad, or in lettuce cups. The key to a juicy pork chop? A flavorful marinade and high heat followed by low heat. You'll get a nice smoky char on the meat before cooking it through slowly. How About a Little Lilac in Your Spring Shandy?